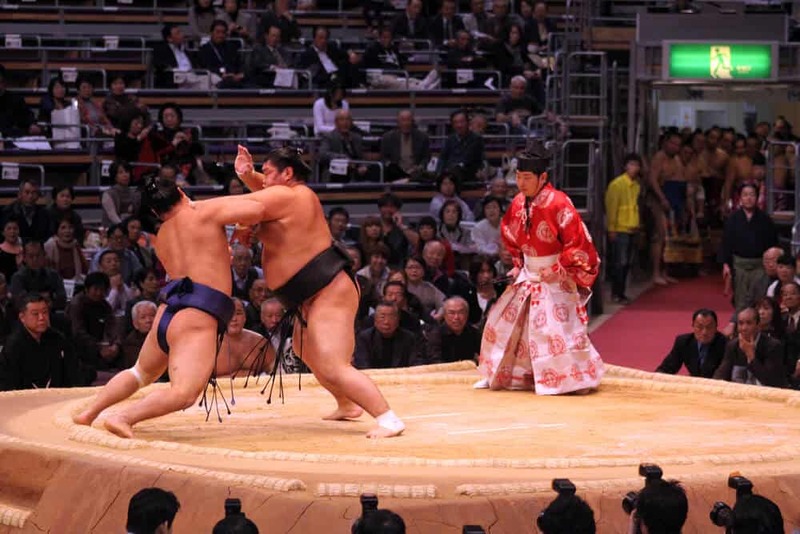 Sumo may be Japan’s national sport, but baseball is Japan’s most popular past time. English professor Horace Wilson introduced baseball to Japan in 1872. 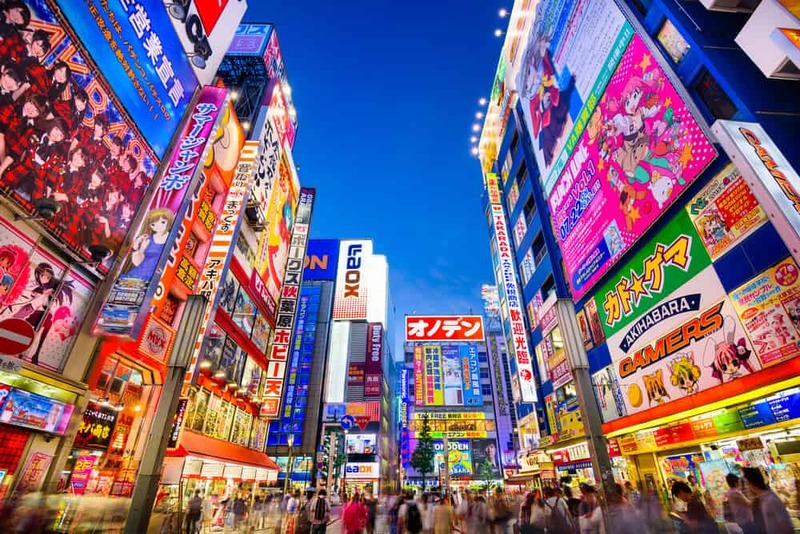 Since then, the game has become Japan’s favorite form of recreation. Professional baseball started in the 1920s. It’s now firmly established as the most watched sport in Japan. There are a few differences from American baseball. Most foreigners are struck, not by the play, but by the behavior of the Japanese fans…. especially the organized chants and the designated cheering periods. Fans take turns chanting, cheering only while their team bats. 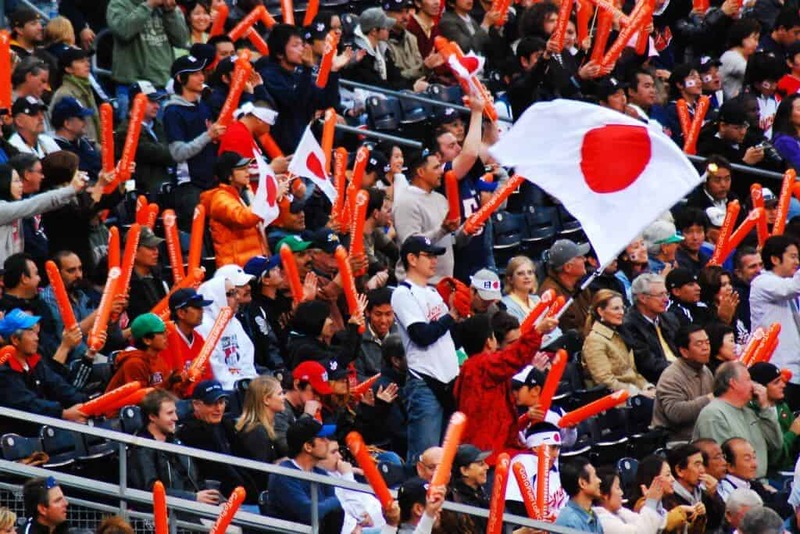 The fans make seeing a baseball game a must while visiting Japan. The seventh inning gets particularly lively. 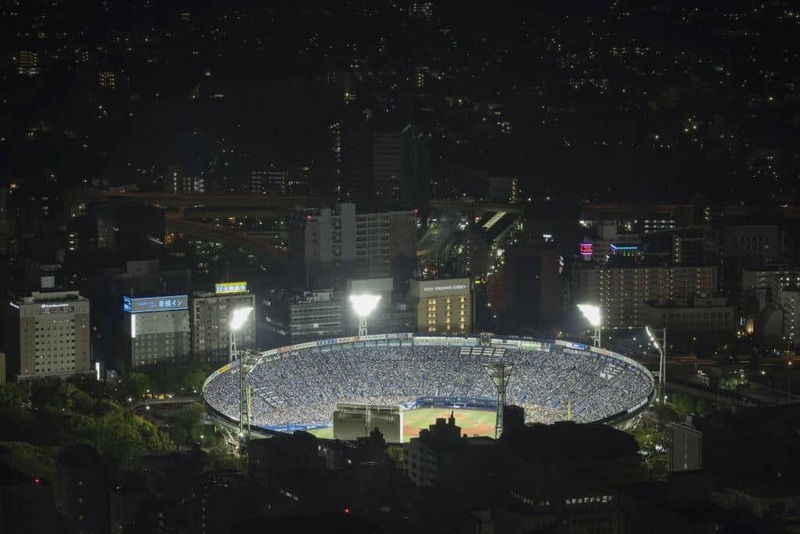 There are several ways to catch a baseball game in Tokyo. Let’s start with a visit to one of the oldest stadiums in Japan. 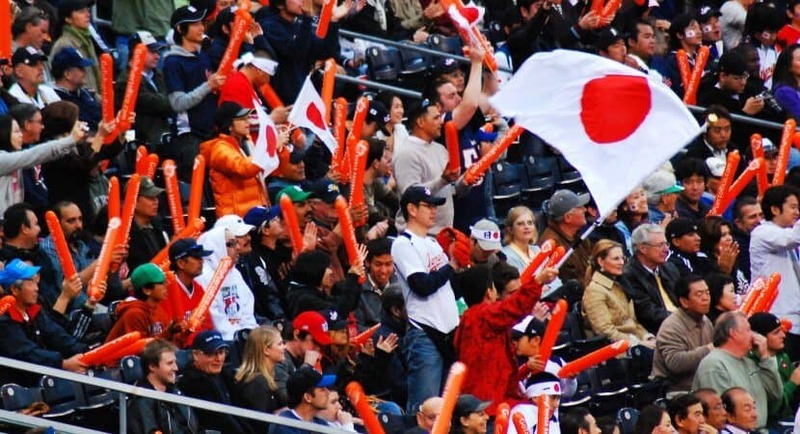 Is a Baseball Game in Japan Worth Visiting? 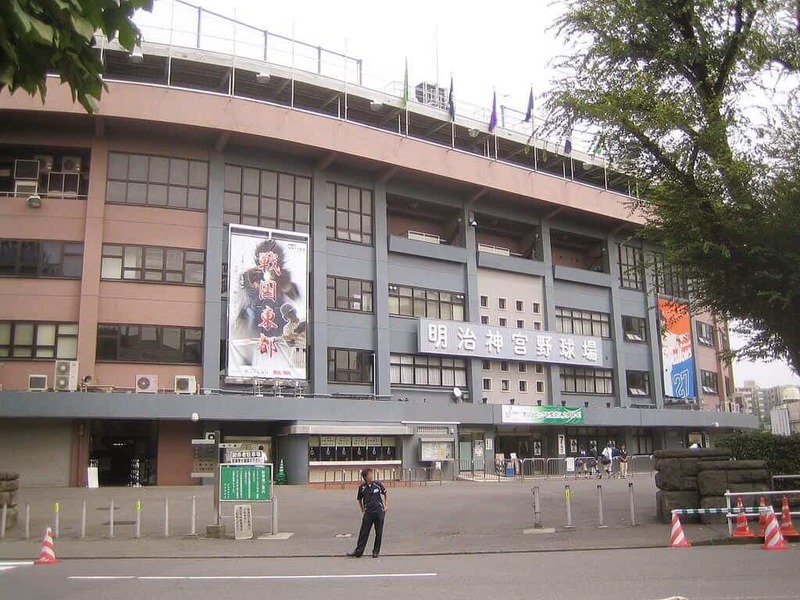 Meiji Jingu Stadium is the home of the Yakult Swallows. The Swallows are one of two professional baseball teams in Tokyo. Meiji Jingu is one of the most atmospheric stadiums you can visit. It looks and feels like something from another era. Built in 1926, it’s one of the few stadiums Babe Ruth played in that’s still in use. At the time of Ruth’s visit (1934), nationalists objected to foreigners playing here. An assassination attempt took place on the promoter who organized the game. Luckily, he survived. In 1964, the stadium held an exhibition game between American and Japanese teams. The game was part of the first Tokyo Olympics. The Meiji Jingu Shrine owns the stadium – the stadium sits on the shrine’s outer grounds. In addition to Yakult Swallow home games, the stadium also hosts games from two University baseball leagues. Swallows fans are known for their spirited chanting… and their umbrella dance! An umbrella is the team symbol. Due to safety concerns, regular umbrellas are not allowed in the stadium. Fans bring mini-umbrellas instead. They use them to cheer when the Swallows make a great play. The fans also do a cool umbrella dance during the seventh inning. For a great view of the dance, get a seat on the left side of the stadium where fans supporting the visiting team sit. 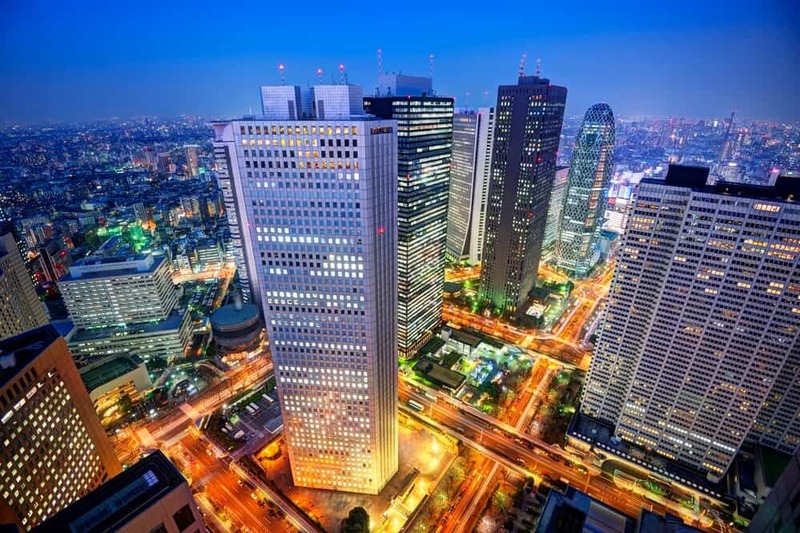 From Tokyo Station, take the Tokyo Metro Marunouchi line towards Ogikubo. Change trains at Akasaka-Mitsuke Station for the Ginza line towards Shibuya. 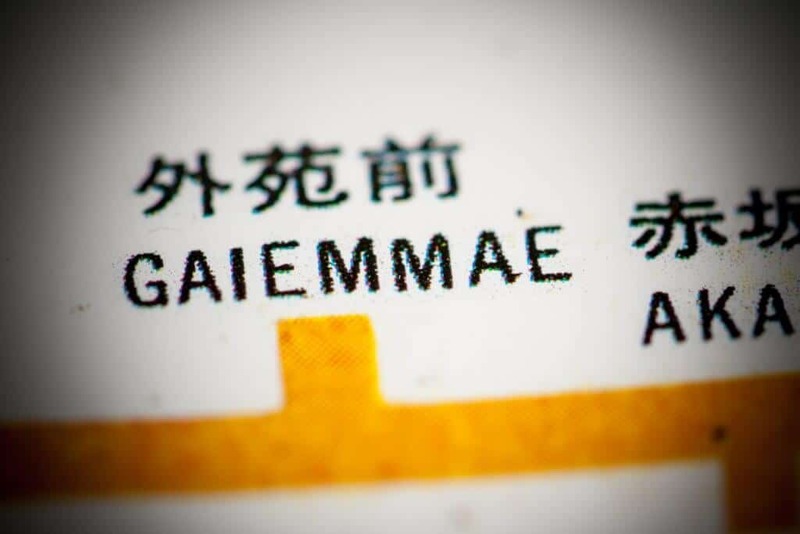 Get off at Gaiemmae Station. 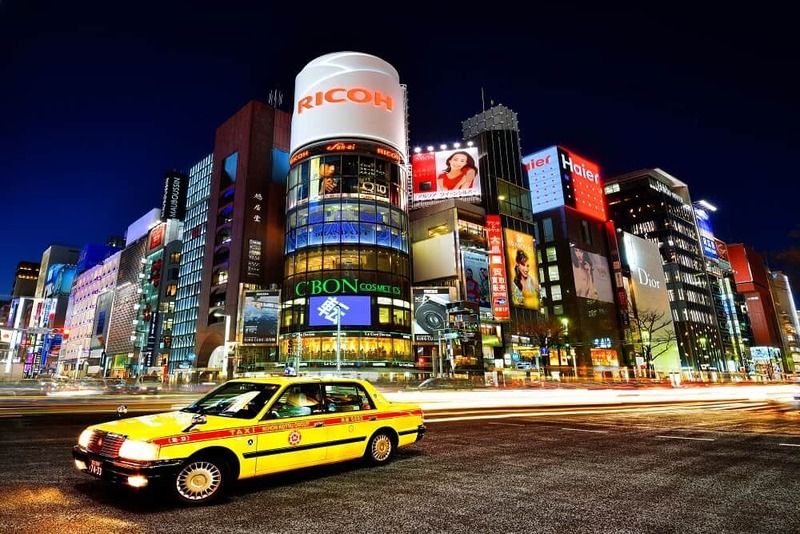 The trip takes around 14 minutes and costs 170 yen. From Gaiemmae, the stadium is a 5-minute walk. 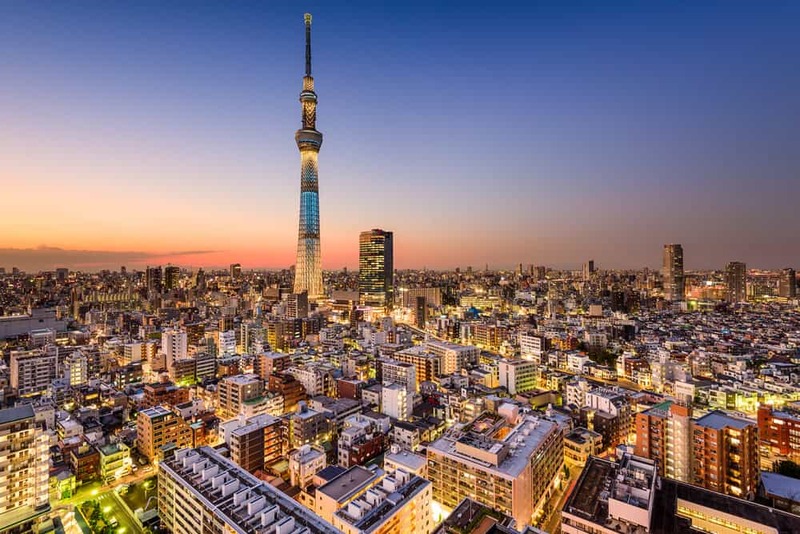 Tokyo Dome, also known as “The Big Egg” or “Tokyo Big Egg,” is Japan’s first domed stadium. It was built in 1988. The dome is held up by pressurized air. Thanks to the dome, you don’t have to worry about game cancellation due to bad weather. 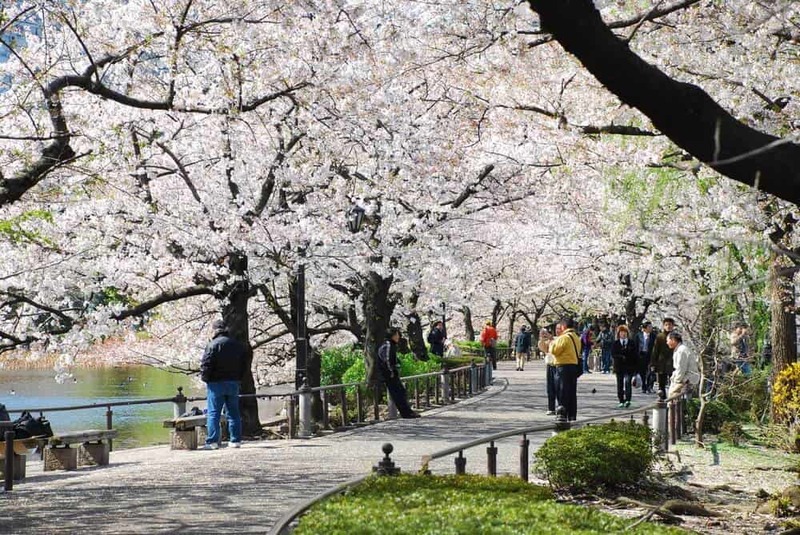 Some claim the Dome gets “stuffy” compared to open-air venues like Meiji Jingu. You’ll be so focused on the game you won’t even notice. 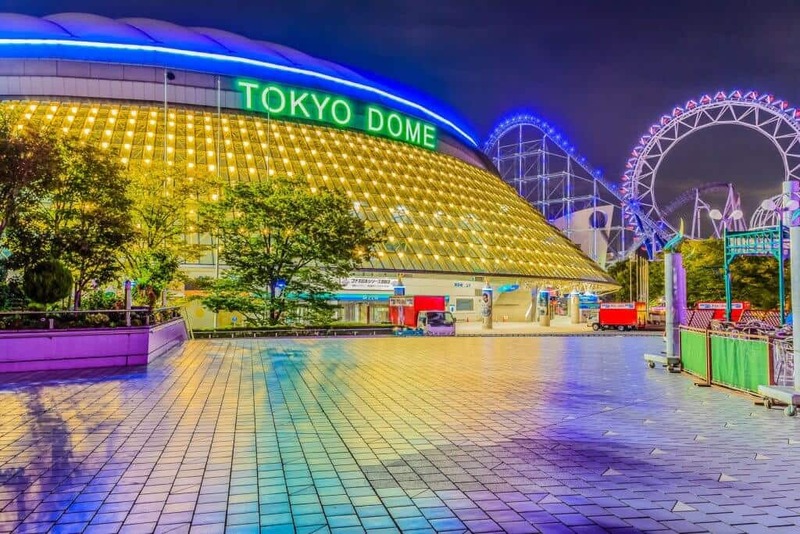 Tokyo Dome hosts 60 professional baseball games each year. The Dome also hosts many amateur and international baseball games. The Tokyo Dome is the home of the Yomiuri Giants, the oldest team in Japan (that still plays). The Giants have an ongoing rivalry with Osaka’s Hanshin Tigers. The two teams have a polarizing effect. Even fans of other teams will have a preference for the Giants or Tigers. Because of this rivalry, expect a sellout crowd anytime the two teams play. If you want to see the Giants play, try to catch a game against a less contentious team. The Dome hosts a wide variety of events besides baseball. They include American football, mixed-martial arts, kickboxing, and monster truck shows. It’s also a popular concert venue. Lady Gaga, Madonna, Guns N Roses, Michael Jackson, and Taylor Swift have performed here… among many other notable artists. The Stadium is part of Tokyo Dome City. 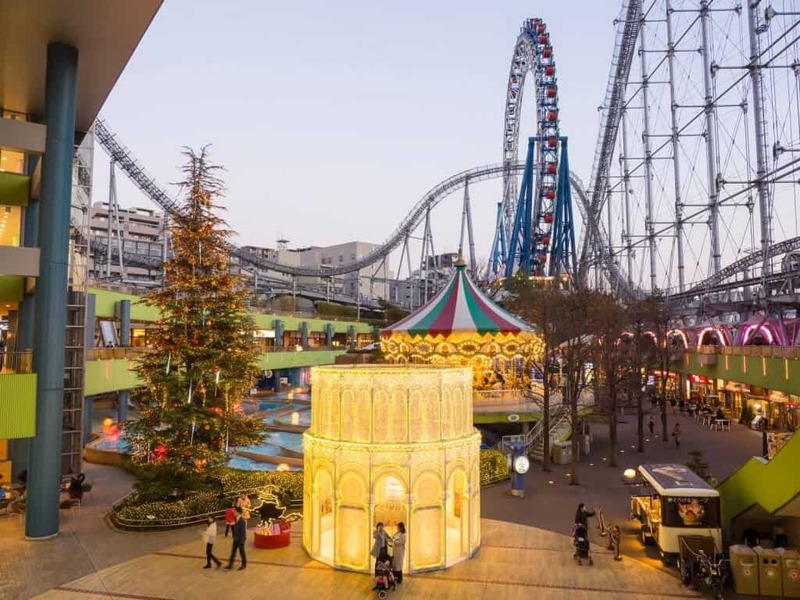 The entertainment complex includes an onsen and an amusement park. 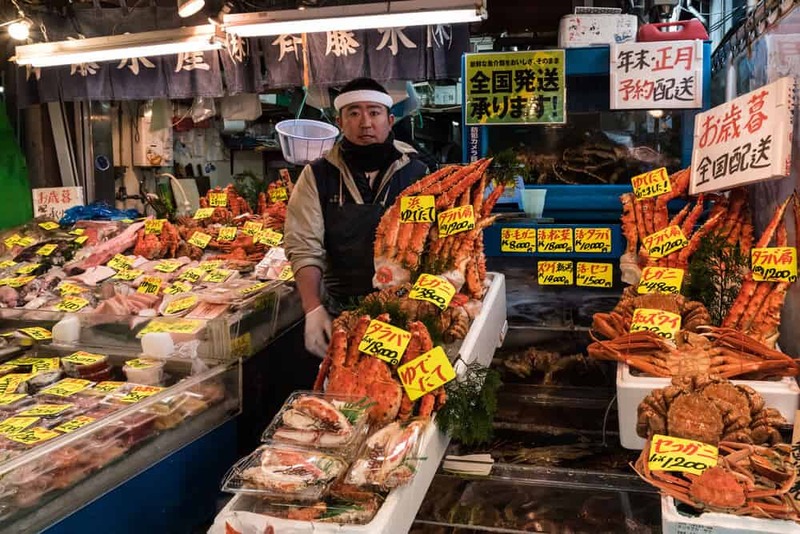 There are many shopping and dining opportunities. If your friends don’t share your interest in baseball, the Dome offers them plenty to do while you take in a game! Suidobashi Station on the JR Chuo-Sobu line, and Korakuen on the Tokyo Metro Marunouchi and Namboku Lines. 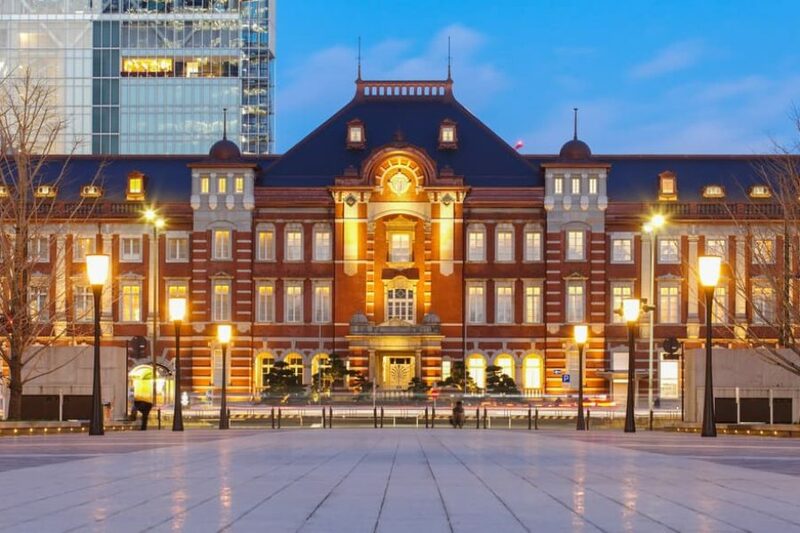 From Tokyo Station, it’s easy to get to either station. 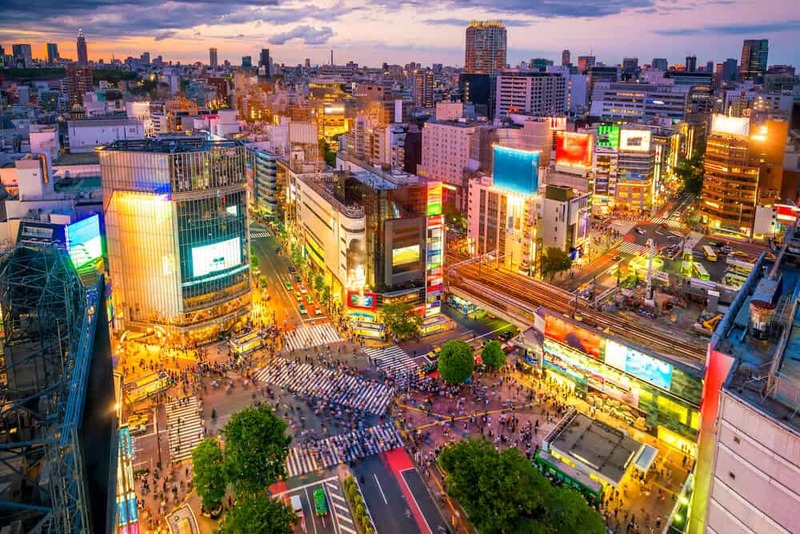 Take the Chuo Line to Ochanomizu Station, and change to the Chuo-Sobu Line headed towards Nakano. Get off at Suidobashi Station. The journey takes about 8 minutes and costs 160 yen. 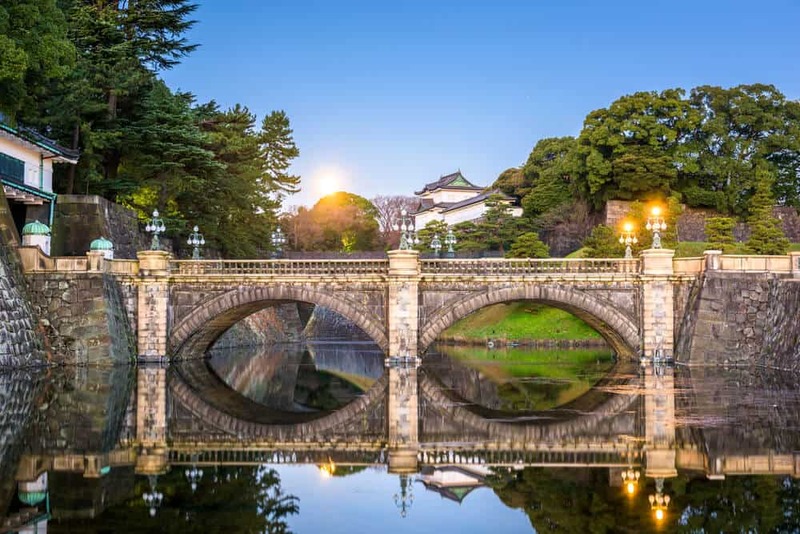 Taking the subway from Tokyo Station is even easier. 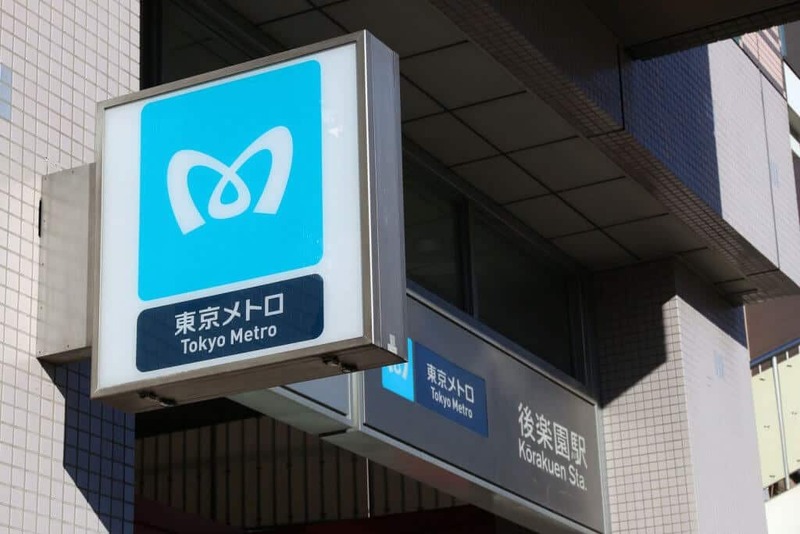 Just take the Marunouchi Line towards Ikebukuro and get off at Korakuen Station. The journey costs 170 yen and takes about 10 minutes. 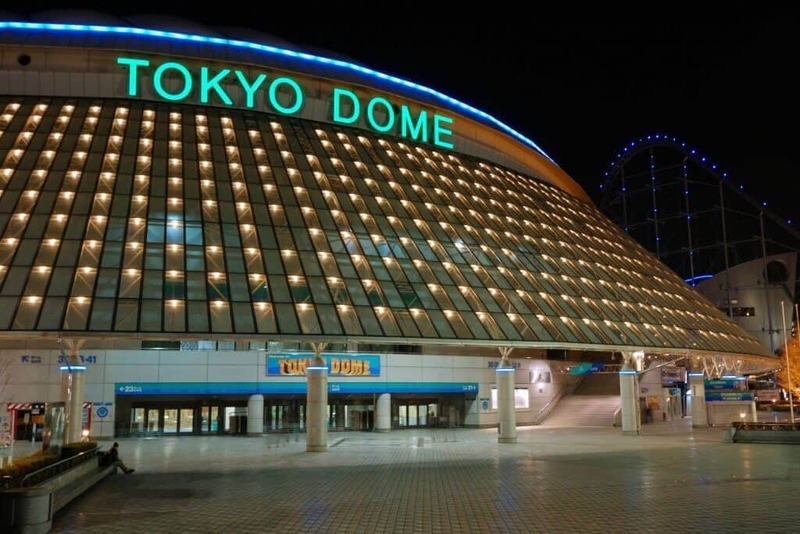 The Tokyo Dome is also the location of the Baseball Hall of Fame and Museum. The museum first opened in 1959. Korakuen Stadium, the Dome’s predecessor, was the original home of the museum. When the Dome was built, the museum moved with it. 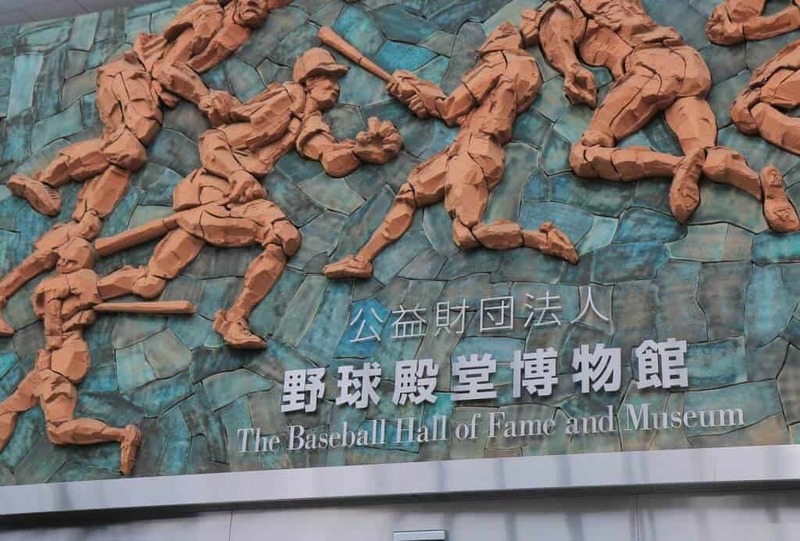 The Hall of Fame and Museum preserve the history of Japanese baseball. The museum and hall pay homage to baseball greats including players, managers, and umpires. It’s not all history, however. You can enjoy virtual batting games pitting you against pitching ace Yu Darvish… or legends like Sadaharu Oh. The museum charts the rise of baseball in Japan, starting with the introduction of baseball by an American teacher in 1872. The museum rotates the 50,000 pieces of memorabilia frequently. New members are added to the Hall of Fame each year. It’s worth a visit even if you don’t know much about Japanese baseball — or any kind of baseball. There’s an extensive English pamphlet available at the reception area. The Yokohama Stadium is the home of the Yokohama DeNA BayStars. Don’t confuse it with International Stadium Yokohama, a soccer stadium. The stadium opened in 1978 and has 30,000 seats. It features a dirt pitching mound, dirt bases, and dirt colored turf base paths. This makes the stadium one of only three in Japan with an American look and feel. The DeNA BayStars have been a professional baseball team since 1950. They went through several names and location changes through the years. DeNA BayStar fans use cheer bats and towels to support their team. Fans release rocket balloons -–called “Star Jets” — into the air following the seventh inning stretch. Yokohama Stadium is close to Kannai Station, accessible on the JR Keihin-Tohoku/Negishi Line. You can also get to Kannai Station on the Yokohama City Subway Blue Line. Take the JR Tokaido Line for Atami or the JR Yokosuka Line for Kurihama. Get off at Yokohama Station, and change to JR Keihin-Tohoku/Negishi Line for Ofuna. Get off at Kannai Station. The journey takes about 35 minutes and costs 550 yen. Absolutely! And I’m speaking as someone who never saw a baseball game before going to Japan. 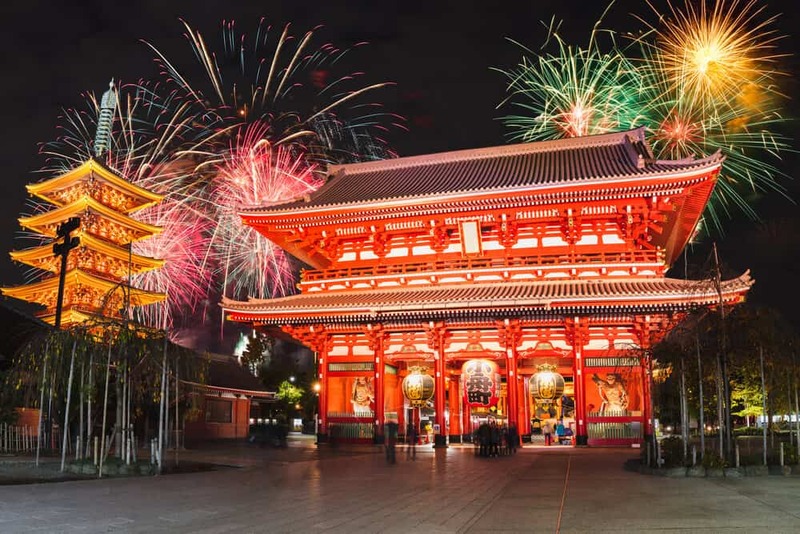 The impeccable behavior of the fans, the unique atmosphere, and the food and entertainment all add up to a unique cultural experience. The Japanese baseball season runs from the end of March until early October. Then the playoffs begin. The two best teams face off in the Nippon Series in late October/early November. 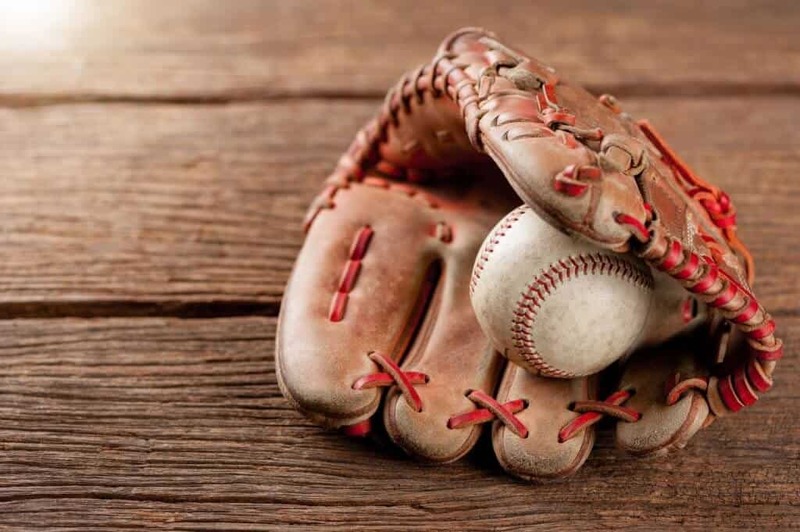 Catching a live baseball game is easy — and it’s a great introduction to a cultural phenomenon. While you can watch a game on TV, it doesn’t give you the atmosphere of the stadium or capture the energy of the crowd. You can buy same-day tickets at the stadium for most games. Ticket offices at the stadium are easy to identify. If you have limited Japanese and the staff doesn’t speak English, just point at the ticket price. Hold up fingers to show the number of tickets you want. 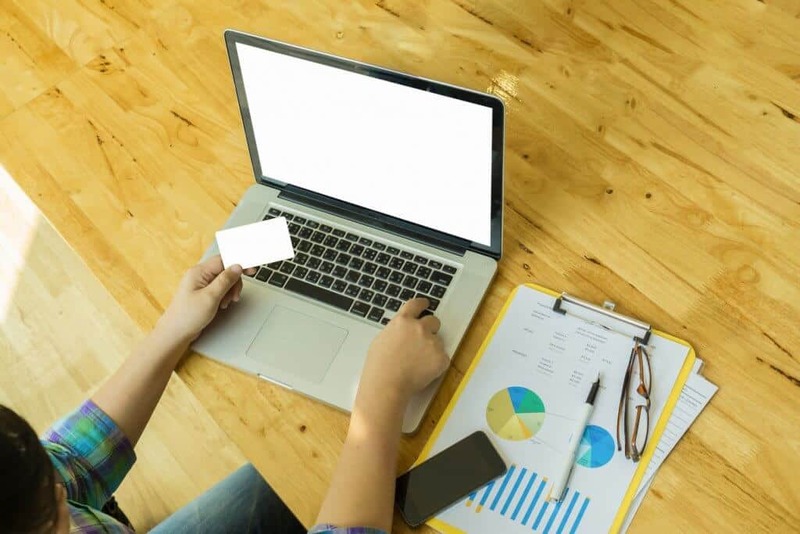 Be prepared to pay cash, as not all foreign credit cards are valid in Japan. A good rule of thumb: the cheaper the ticket, the further back in the stadium you sit. Ticket prices depend on what day you go, which teams are playing, and where you want to sit. Swallows games at Meiji Jingu Stadium are the cheapest. Seats start at 1,300 yen, with counter seating on the deck setting you back 2,000 yen. 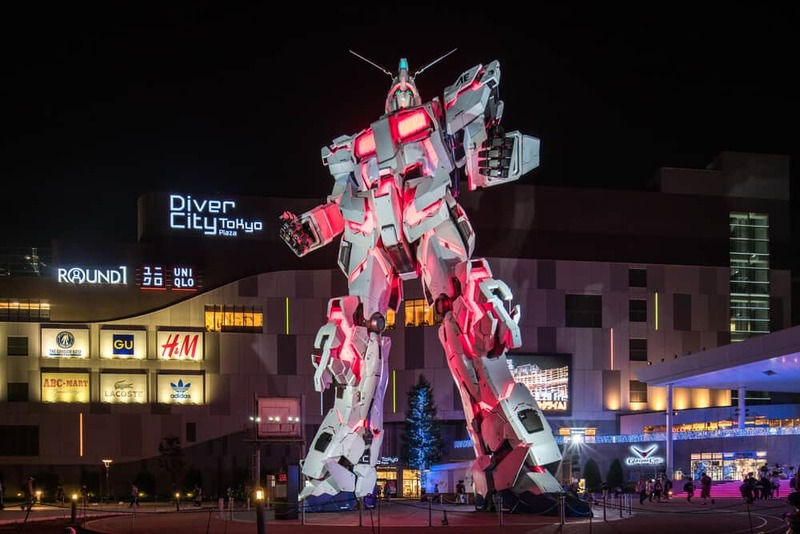 The most expensive tickets are 5,300 – 6,500 yen. 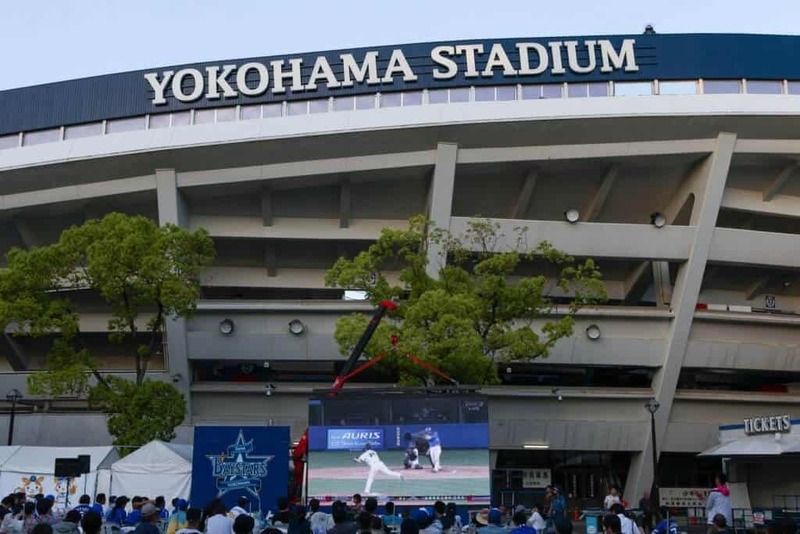 The Yokohama BayStars are your next cheapest option. If you go to the game with a group, you might like one of the boxes. Tickets at the Tokyo Dome start at 1,700 yen, with the most expensive ticket costing 6,200 yen. Family tickets are available for groups. 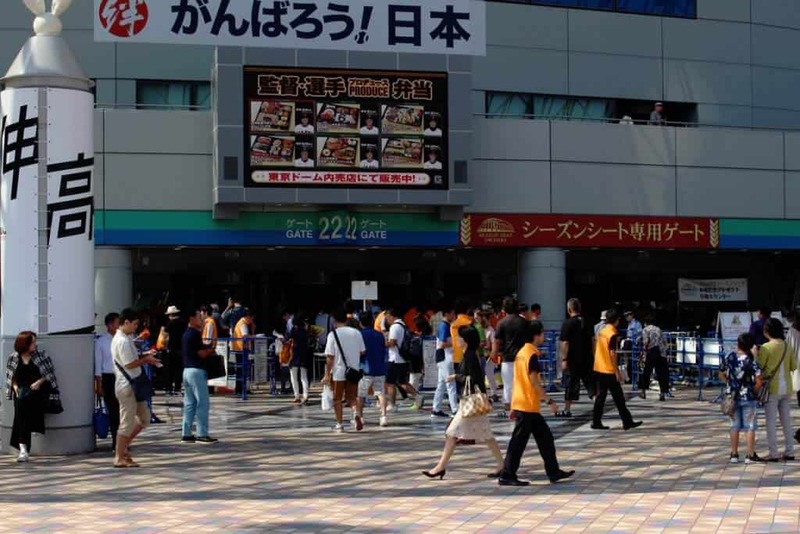 On special days, a 300 yen charge gets added to all tickets at Tokyo Dome. See the website for details. If you’re worried about missing out or really want to see the Giants take on the Tigers, book your tickets online. 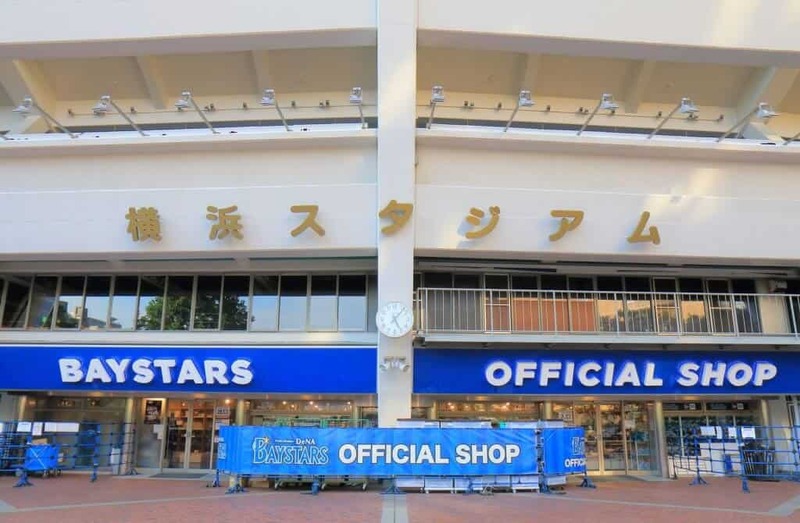 To use either the BayStars or Swallows site, ask the staff at your hotel or a Japanese friend to help you. 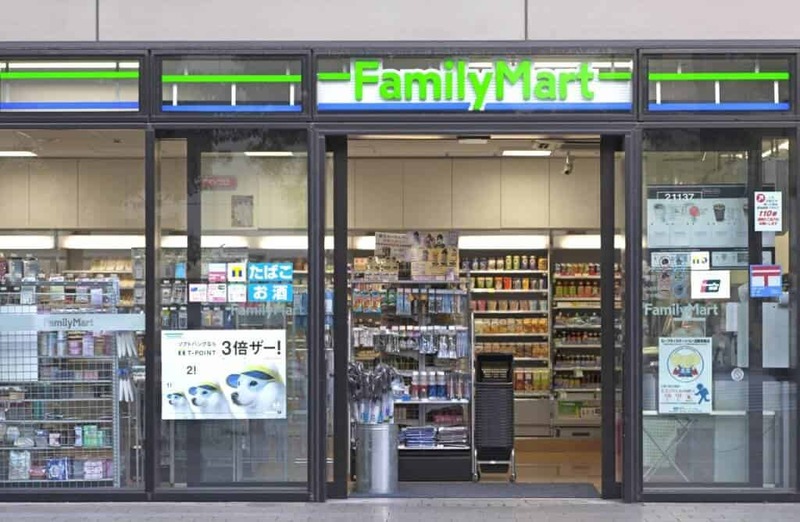 Japanese convenience stores sell tickets through a terminal. At first glance, the terminal resembles an ATM. You need to be proficient in Japanese to buy tickets this way. 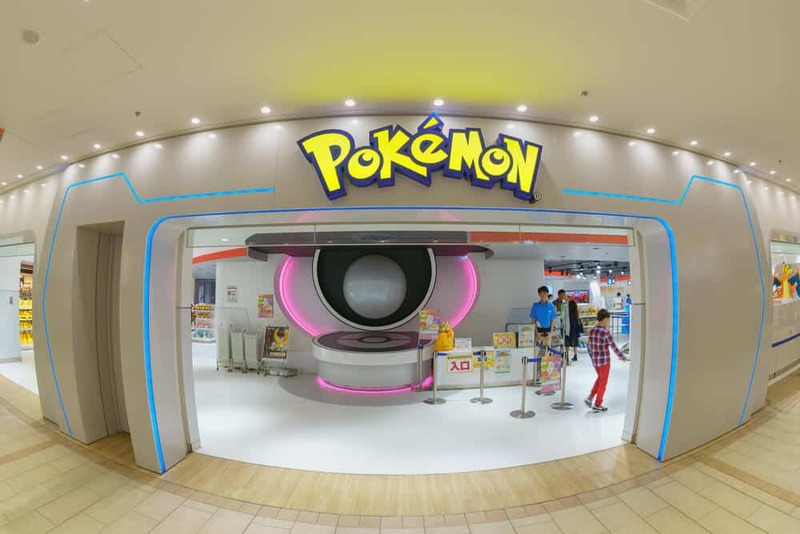 You select your desired ticket (s) and the store staff confirm the details. The staff accept payment and issue your tickets. If all else fails — but you know what game you want to see — approach a staff member to help you use the terminal. 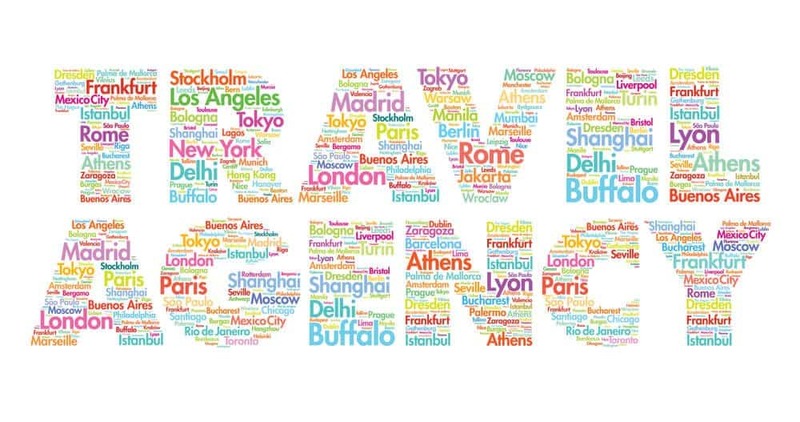 Many travel agencies and major hotels sell tickets for a slight surcharge. The advantage: you can probably make arrangements in English. The downside: you have less choice over what seats you get. Don’t forget to check what items are forbidden before setting off for the stadium. Most stadiums don’t allow cans or bottles. Don’t be surprised if, instead of confiscating your alcohol, staff pour your drinks into plastic cups for you. You can buy food and drinks inside the stadium. You can also buy a traditional bento (boxed meal) from stalls lining the streets approaching the stadium. Have you experienced baseball in Japan? How did it differ from American baseball? Tell us about it in the comments. Would you like to see a game? Which team sounds like the most fun? I won’t tell you my favorite team to watch… but let’s just say I like umbrellas! Don’t forget to share this article with your sports buddies. Next time you find yourself in Tokyo, grab a few brews and head to the game (just be sure to use plastic containers).